There's the long way and then there's the short way of doing stuff. RDi, with its full collection of shortcuts easily speeds up your source code development. This session is a live demonstration of the what, wheres, whys and hows of the most popular shortcuts. Just using a few of them can really make a difference. Use them all? No contest. With an IT career spanning over 30 years, Charles Guarino has been a consultant for most of them. He is also the founder and President of Central Park Data Systems, Inc., a Long Island and New York City area based IBM midrange consulting and corporate training company. In addition to being a professional speaker across the United States and Europe, he is a frequent contributor of technical and strategic articles and webcasts for the IBM i community. He is a member of COMMON's Speaker Excellence Hall of Fame and The Long Island Software and Technology Network's Twenty Top Techies. In 2015 Charles became the proud recipient of the Al Barsa Memorial Scholarship Award. 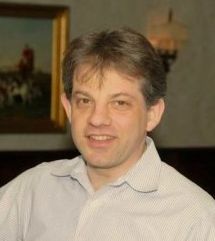 Additionally, he currently serves as a member of COMMON's Strategic Education Team (SET) and is also the monthly Q&A host and chairman of the speaker committee for LISUG, a Long Island IBM i User's Group. Charles can be reached at cguarino@centralparkdata.com.